On retreat in India | Walk with us! ← Four SCJs ordained to the diaconate! The retreat ran from Monday ,beginning with adoration, and ended on Saturday with an 11:00 am Mass. 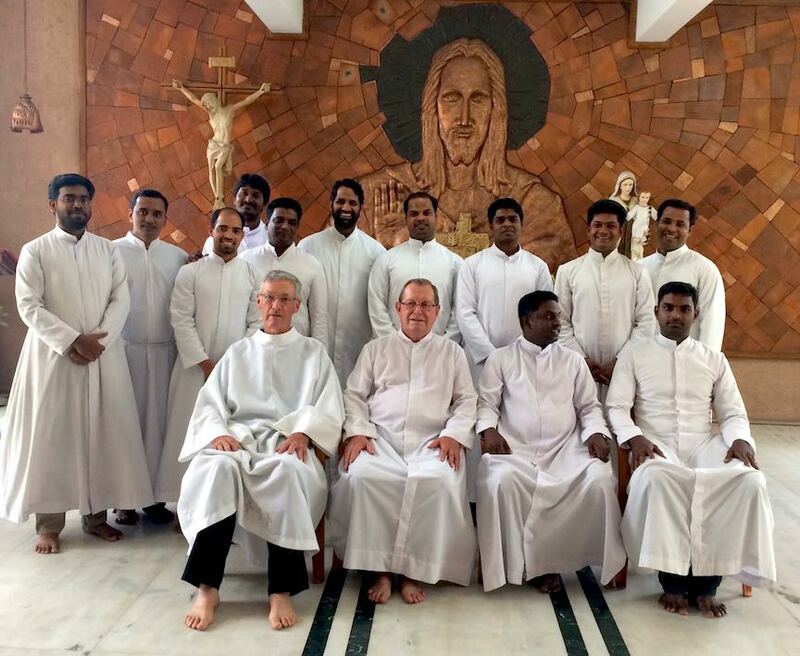 There were 15 of us making the retreat for SCJs living in Kerala, though a few came from Andhra Pradesh, and the two cities of Chennai and Mumbai. The retreat was led by Fr. Martin van Ooij, SCJ, whom I consider the founding father of our Indian District. During my first term on the General Council Indonesia was part of the congregation that fell under my purview. In 1994, when we decided to begin our Dehonian presence in India upon the invitation of an Indian bishop from Kerala, it was important to find someone to spearhead our efforts. It would not be an easy task and could not follow the very successful model the congregation developed in the Philippines due to the difficulty of foreign missionaries entering the country. Fr. Martin was a Dutch missionary working in the diocese of Lampung and by all accounts was just the man who could pull it off. Fr. Martin often recounts the meeting our general superior (now Bishop Virginio Bressanelli, SCJ) and I had with him asking him to take up this challenge. On our flight from Bangalore to Vijayawada this morning he told me the Indonesian Provincial Council was reluctant to let him go but he convinced them it was just as important for Indonesia to allow him to do this as it would be for the success of our Indian endeavors. Over the ensuing 20 years many SCJs came and went due to various issues from denial of visas to difficulty coping with the food and climate among other things. But one of the constants was Fr. Martin until his visa was revoked by the Indian government in, I believe, 2011. He still keeps his finger in the pie and enjoys tremendous respect from our young Indian SCJs. I would add that four SCJs who have died and spent considerable time in India are also well remembered and respected. Two of them are very familiar to American SCJs: Fr. Thomas Garvey, who died in India following an operation and Fr. Thomas Fix, who also was a missionary for many years in Indonesia and died of cancer several years ago in his beloved Indonesia. 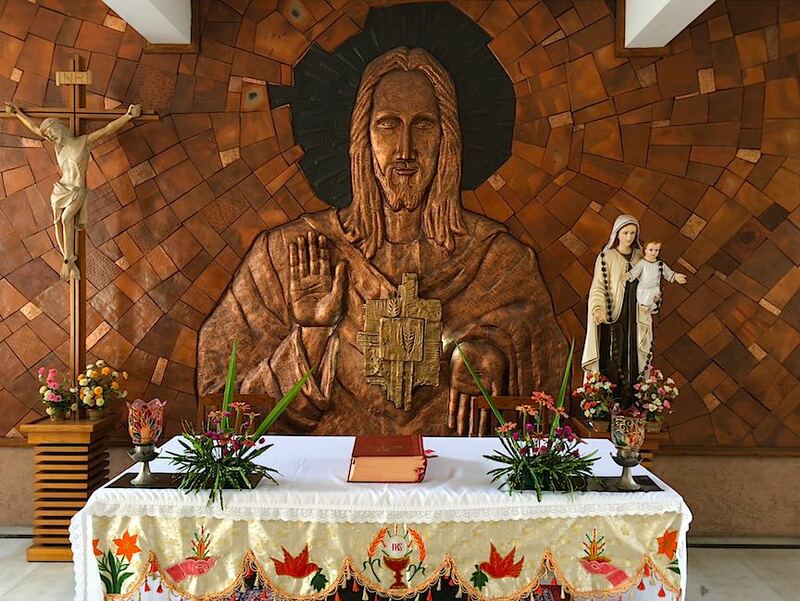 The retreat center, or Atmadarshan, is attached to the Sacred Heart Philosophical College run by the Carmelites (and where our SCJ philosophy students take their courses) and is located along the banks of the most important river in Kerala. It is a nice quiet oasis in the middle of the bustling city of Aluva. Though on retreat I did continue my daily walks. One can meditate on the move just as easily as when in a fixed position. I did, in deference to the request by Fr. Martin that we shut off all modern means of communications, do my walks listening to my own inner voice rather then that of an Audible Book, my usual daily walking companion. Briefly, the theme of the retreat was “Consecrated Life,” since the Church is in the midst of celebrating a year dedicated to Consecrated Life. Before and after the retreat both Fr. 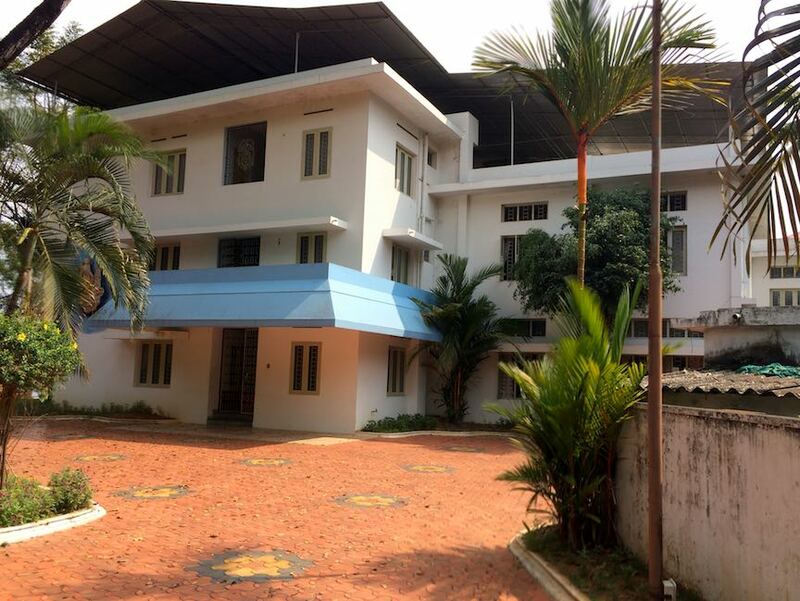 Martin and I spent a couple of days at our Aluva philosophy house. I was glad for this opportunity as I have not spent much time there and it was a good chance to mingle with the students as their school year draws to a close. The two of us left Aluva this morning at 6:30 am for our flight from Kochi to Bangalore and then from Bangalore to Vijayawada. With each flight taking about an hour and the layover in Bangalore, we landed in Vijayawada at noon. The ride from the airport to our Eluru house takes just under and hour and now I’ve got three days here before heading to the novitiate.